As HR expands beyond its traditional administrative role, HR teams have the ability to have a significant impact on an organization’s value creation. To do this, there needs to be alignment of HR with the business strategy; the structure must support having senior HR leaders involved in the strategic planning process. The HR function needs to ensure the human asset is effectively aligned with the business strategy and focus on business needs. 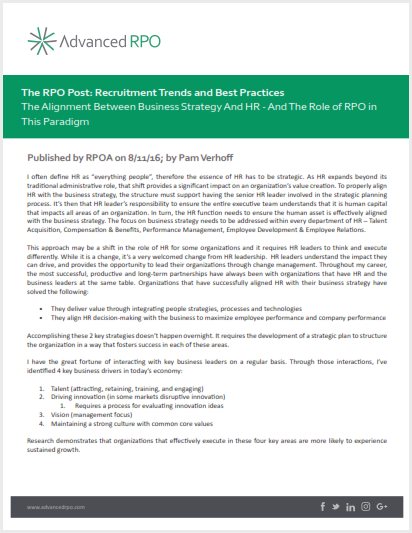 In this brief, you'll learn the four key business drivers in today's economy and the importance of alignment with talent acquisition.